Happy Fake Tan Thursday, gang! Whether you prefer to get yo bronze on of a Thursday or a Friday night [or across several nights, I'm a firm advocate that life feels better with a tan, so you do what you gotta do to get it!] I've found the product you need to try this year [like, asap] from my baes at Technic. This being their new brand Tan Out of Ten and their fabulous Fast Developing Self Tan Mousse* which has been released as part of the collection. I'd started to see mentions of this miracle product all over my social feeds without even realising that Technic Cosmetics were the geniuses behind it... from the get go, this product was receiving a sh*tload of very rightfully deserved attention and positive write-ups. And obv, as a fake tan obsesso trying to save money and stay on the right side of the 'From 1-10, how David Dickinson am I?' fake tan scale, I had to try it. Tan Out of Ten takes the shape of five [so far] products - all of which promise to bless us with fast-drying, non-streaky formulas that'll leave us looking like we've just come back from the Maldives, when in reality, it's actually just been the local Morrison's. 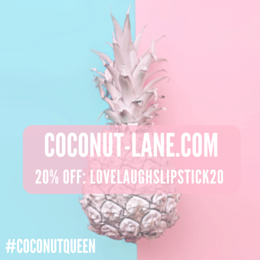 Their formulas contain added coconut oil and Vitamin E to moisturise the skin; with a gentle coconut & papaya scent instead of that dreaded Eau de Biscuit fragrance which wafts me right back to my school days. ... all of which you can learn more about over on the Tan Out of Ten Instagram account [with some cracking before and after shots.] 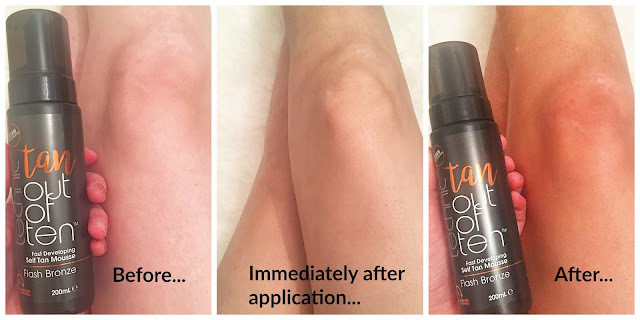 I was very lucky to be sent the Fast Developing Self Tan Mousse to try from the babes at Team Technic and [pls excuse my French here, but] sh*t the bed, it's brilliant! I love the packaging, the use of rose gold in the bottle's design [hands up basic AF blogger over here!] and the inclusion of their #TanThursdays hashtag. But most of all, I just LOVE IT. It applies so evenly - there isn't a single streak in sight, which is unusual when applying a product with an instant stain / colour-guide. And which means you can be seen by other humans in the time your tan develops / not go outside looking like you've been rolling through dog turds in the grass by the corner shop. The results from this mousse are easy, consistent, INSTANT and natural looking from the moment it melts into your skin. You'll be instantly left with a subtle looking glow once applied, which rapidly develops within a matter of hours for the tan of your DREAMS. The longer you leave it on for, the darker you'll go - so you're also very much the master of your own personal tanning destiny. Oh, and the icing on the cake for me - this mousse legit smells GORGEOUS; like the least-like-fake-tan smelling fake tan I've ever tried. 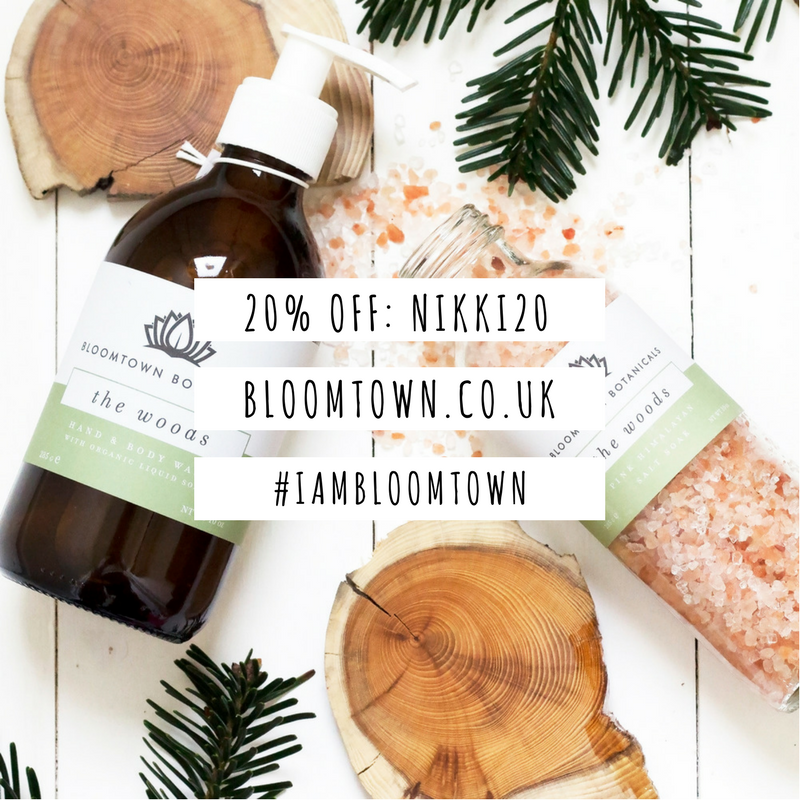 It's sweet, summery, fruity and fresh; without leaving your skin pure oily, tacky or greasy. And the results kinda speak for themselves. If there's one fake tan you need on your radar on an as soon as possible basis, it's this one. I couldn't be any more impressed by it - the bronzed glow it left me with lasted for AGES and faded gradually and naturally too - none of that mad streaky elbows / grim brown residue situation going on here. No matter what your skill level in the fake tan dept, it's pretty hard to go wrong with this one - and as it gives you the power over your tan and how dark you take it, even if you are a little apprehensive, you know you can wash it off after just four hours without fear of overdoing it. Love love LOVE - Technic are 100% one of those budget brands TOTALLY slaying 2017 and one to watch. For sure. I've got another post coming soon with some of their new releases in metallic lip paints and eyeshadow palettes to rival ABH .. so make sure you stay tuned and give their website a stalk. Have you tried any of the Tan Out of Ten products yet? What's your ultimate fake tanning tip for newbies? *This post contains a PR Sample I was gifted for the purpose of review, but a] all opinions are totes my own and b] it's actually fricking INCREDIBLE and that is no word of a lie.